Are You Travelling With Your Kids Over the Easter Holiday? TOYS & GAMES FOR A SENSORY WAKE UP! In this insightful talk, creative parenting expert and co-author of Tech-Savvy Parenting and Future-proof Your Child (Bookstorm, 2014), Nikki Bush, will help you make sense of the digital world your children are so attracted to. For families to remain connected today, parents need to bridge the digital divide to their children. This talk, peppered with personal anecdotes, will provide you with insight and practical parenting guidelines for a plug-and-play world, from passive entertainment of the television to the interactive nature of gaming and Internet-linked computers, to the realm of social networking – often accessed via a smartphone. 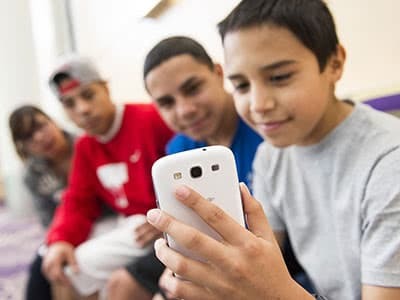 We need to take conscious, positive steps to help our children to develop both the high-tech and high-touch skills to ensure they become responsible, tech-savvy digital citizens who will be able to take advantage of the best of what the online world has to offer while being protected from its potential dangers. This talk is suitable for parents of any child, whether you have tots or teens, who love screens (that’s all of you!). It’s also an enlightening presentation for those who work with children and parents, from educators to therapists and wellness professionals. I thoroughly enjoyed your workshop at St Peter’s last week. I have two boys aged 8 and 6 and a new addition of a little girl aged 12 weeks. My boys have loved playing games in the car on the way to and from school, it gives me some special time with them before their baby sister demands to be fed. Thanks very much. You are truly extraordinary. Love your work. You are a visionary. Stewart Jones	GM Lipton Ice Tea, Unilever. Lovely meeting you yesterday at the Garden Road Montessori talk. I was so inspired and left feeling so light and enthusiastic about the little changes I plan to make with my son. I took a lot from the talk – but especially creating memories and special moments in our daily ordinariness. You made me realise how much potential each moment actually has! Thank you Nikki, for the good work you do. Exposure Marketing has enjoyed having Nikki Bush on board as a parenting speaker at our events. Her creative content and engaging presentation style make her a real ‘value add’ at our expos. We have invited Nikki to present her talks at The Baby Expo MamaMagic and at our recent addition Future-Ed, The Education Show. Nikki’s talks are always very popular and relevant to our visitors. I was fresh out of ideas for what to do with my four year old when I have quality time with her. Thanks Nikki for sharing your fun and creative approach with us today. I couldn’t wait to get home and play with my child. I had no idea I could be so instrumental in getting her ready for school and that it doesn’t need to be stressful. Nikki, thanks for showing us how to mix up games to create more games and that it’s okay to break the rules and make new ones. I am so inspired to spend time with my two pre-schoolers. You have made me want to play with my kids again and I am going to home to haul out all the unused games and bring them back to life with all your ‘out of the box’ ideas. Thank you for inspiring me to continue playing with my children now that they are in senior primary and high school. They will just love the potato and gambling games. You’ve given me new ideas for Friday games nights. I never knew I was so competitive! Thanks for a really fun evening playing games in your home. Isn’t it odd how we forget just how much family fun there is in a simple deck of cards. Thanks for reminding me that fun doesn’t need to cost much other than a bit of my time. Thanks for your Big Kid Fun workshop – my wife dragged me with her to attend and I haven’t had so much fun in a long time. It was great to laugh and ‘reconnect through play’ as you say. Play is definitely an under-utilised parenting too. We played some of your games with our children on the weekend and they were spot on. They want to know when we can play them again. Thanks for the inspiration. Kindly check your inbox or spam folder to confirm your subscription.